← Tomorrow is Friday & First Day of Spring! Spring has arrived! That means that Winter is Past, and so it is time for the last little 1 Clue Mini Mystery Project! The full pattern will be released next Friday, but if you want to pre-purchase you can read the notes about Materials needed, and then the pattern will be automatically updated next Friday! This is a small, quickly made project that can be easily adjusted to make in many sizes, out of many fibres! I first saw the item in an 1891 Victorian family magazine and realized the versatility it offers. KNIT, CROCHET & SEW INSTRUCTIONS: ALL INCLUDED IN ONE PATTERN!! IT DOES NOT MATTER IF YOU BUY THE KNIT OR CROCHET PATTERN. I hope you will take a moment to add the pattern to your Favourites, put in your queue, and link to my design on your project page, as a thanks for the free pattern, to help me out! 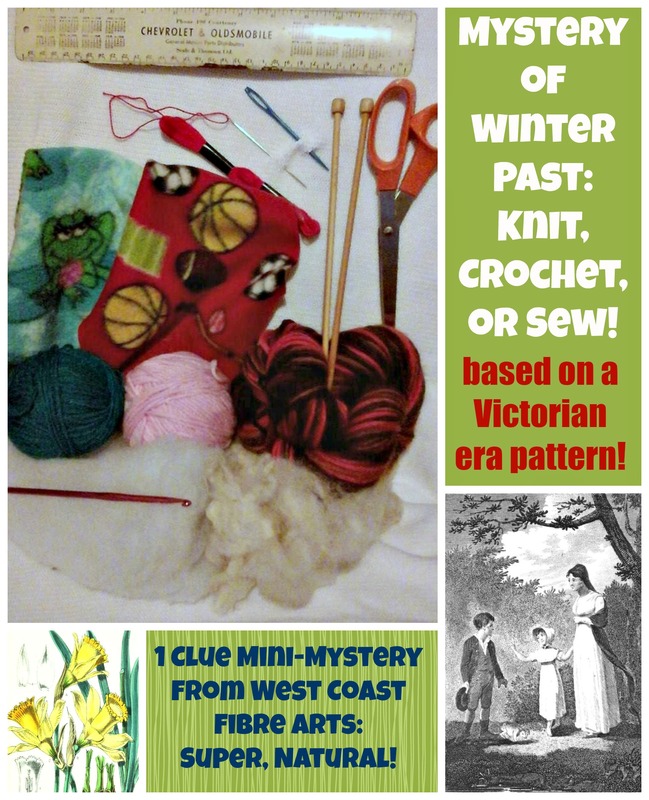 I WILL UPDATE THIS BLOG POST, OR the Ravelry West Coast Fibre Arts Group thread called “Mystery of Winter Past Discussion” with information about yarn amounts, needles & hooks, etc. The most yarn I have used for 1 item is 100g of Bernat Felting, with a 4.5mm hook, PLUS stuffing–I used unspun sheep fleece. Remember: you can use acrylic yarn, wool, alpaca, anything you like, and any weight you like! You can use any stuffing you like, too!